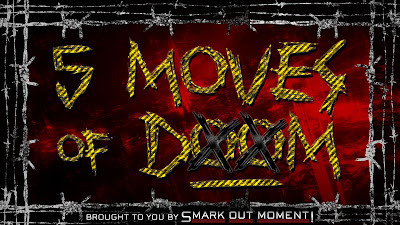 Welcome to another edition of FIVE MOVES OF DOOM, where we break down a particular wrestler's moveset and examine the five signature maneuvers that they perform on a regular basis. 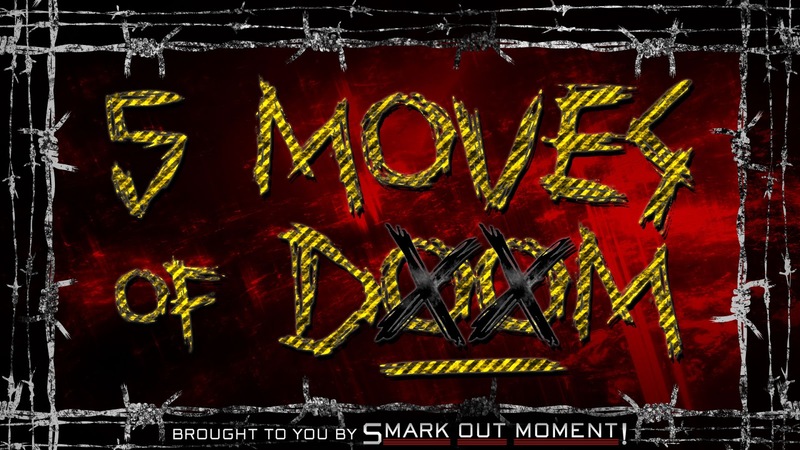 These are the moves that fans watch out for during a match and are usually in a sequential pattern, building up to and including their finishers that typically get the biggest pop of suspense from the crowd each and every week. In this special edition, we are focusing on none other than the Showstopper himself, Shawn Michaels. After spending 26 years inside the wrestling ring, HBK has cemented his legacy as one of the greatest that ever lived, and one of those very reasons is his flexible, dynamic, and unique moveset. Shawn was the master at combining moves we see every day (a flying takedown), and putting the HBK spin on it (the kip up that follows). We know it's coming. HBK has his opponent against the ropes. A reversal. Shawn's airborne as his forearm connects with the face of his opponent. They both go down as the referee starts the ten count. Drama builds as the opponent begins to stir before Michaels. The crowd bursts as Shawn leaps to his feet with a kip up. At the climax of Shawn's finishing set, we have the dramatic climb to the top rope. Fans know what's coming as Shawn leaps with an elbow into the sternum of his opponent. After the kip up, HBK transitions into a fast-paced set of moves that includes the inverted atomic drop. In this move, Shawn brings his opponent in, shoots him up into the air, and brings his opponent back down on his knee. This is normally followed by a big right hand. In this move, Shawn delivers a standing vertical backflip from the top rope onto his opponent, who is also standing. This is one of Shawn's most recognized high-flying maneuvers. 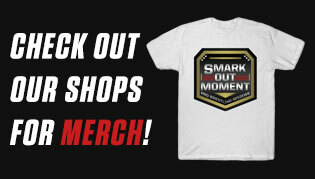 Easily HBK's most well-known move, the Superkick, AKA Sweet Chin Music, is Shawn's finishing maneuver. After an elbow from the top rope, Shawn sets up for his kick by engaging the crowd. With every stomp of his foot against the mat, his opponent moves closer and closer to a vertical base. When Shawn has him in position, he delivers a powerful kick to the jaw. One that always keeps 'em down for the count. Shawn Michaels is a name that will be etched in wrestling history forever, and it's because of his unique, high-flying, often unseen style.